So there are bunch of trends, with all the fashion weeks combined there are probably a ridiculous amount of trends that we could predict, however these are some of the things I spotted and liked. These are the pieces I would probably wear and probably will be hunting around for in charity shops and boot sales very soon! I do love a bit of asymmetry, but we can all admit the dip hem went a little crazy. Don’t get me wrong I love it still, it’s flattering and I own a few dip hem skirts myself but there were several occasions in which I ran (yes, ran ladies…well okay I strode) to a gorgeous printed skirt, pulled it off the rail only to find the front missing. Well this time I am much more interested in the asymmetry I have spotted on the catwalks, the bold structures are perfect. So the big focus from the catwalks from what I have heard and read is that it is all about Pink for SS14 and that perfect for us as it was (or is) for AW13 so we don’t even need to invest in new pieces. All I have to say is - what about lilac!?! This is something I spotted immediately on the catwalks and something I saw reoccurring, I have to say even though it’s quite a girly colour I am rather liking it! I adore the leather lilac skirt by Rag & Bone. Okay guys, this probably isn’t a trend but this is my favourite thing to do, and it’s one of my favourite things to look at. 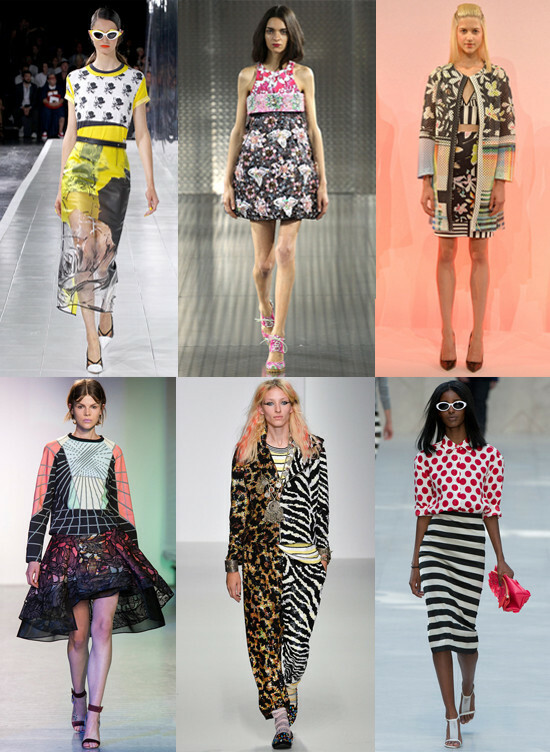 I just love to clash prints and patterns so whether or not this turns out to be a big trend for SS14, I’m putting it in here as I spotted some gorgeous mashups on the catwalk. So currently I’m really liking the boy meets girl feel to a lot of the AW13 things, but I am a little excited and way too eager to twist my masculine items with a piece with an odd frill detail. 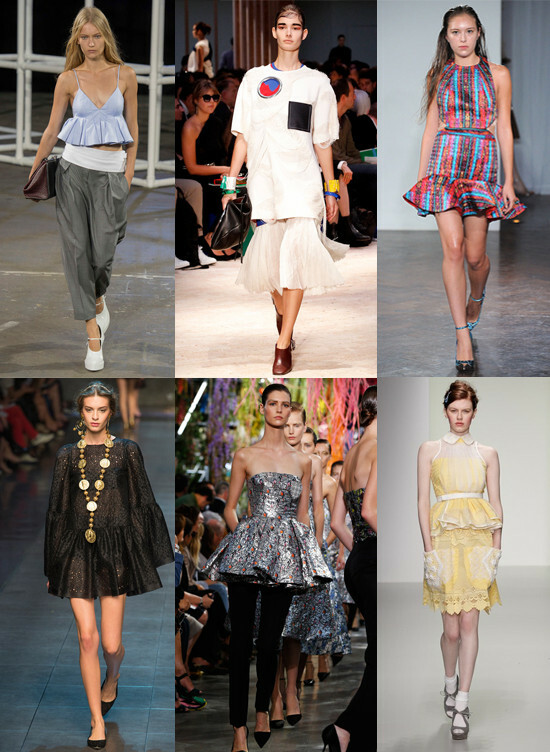 Be it a dress hem or a short sleeved cuff I am looking forward to a wavy trim joining my boyish items next season. The oversized boxy shape of these jackets look set to be a staple piece this SS14 gracing the catwalks from the likes of Chanel to J. Mendel. So admittedly these aren't all bomber jackets, but you get the gist. We all love them, most of us already have one, or two, maybe even three (guys I have more, its becoming an issue) co-ords, two pieces, matching sets – whatever you want to call them. 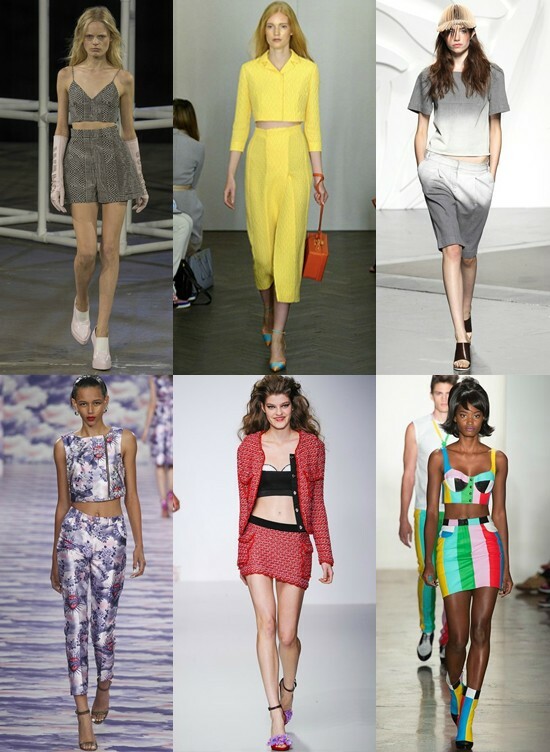 So this takes no explanation, these are the coordinating beauties that graced the SS14 catwalks. So metallic is usually something that goes hand in hand with the winter months, with Christmas, the party season etc. There has been the trend of metallic shoes and accessories all year round for the past few years really but the trend has taken the next step – full on metallic looks for Summer. 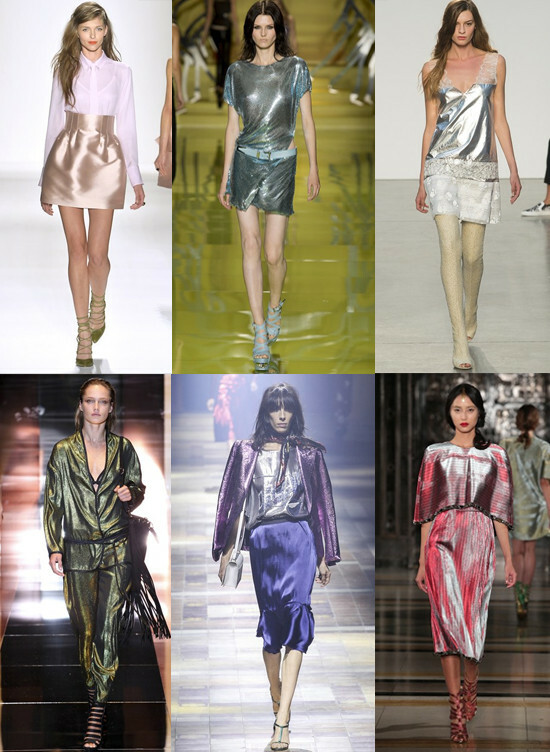 So metallic summer dresses, blazers with a shimmery trim, full on glitzy shorts and just about anything else seems to have a metallic twist on the catwalk this SS14. What trends have you spotted on the catwalks? 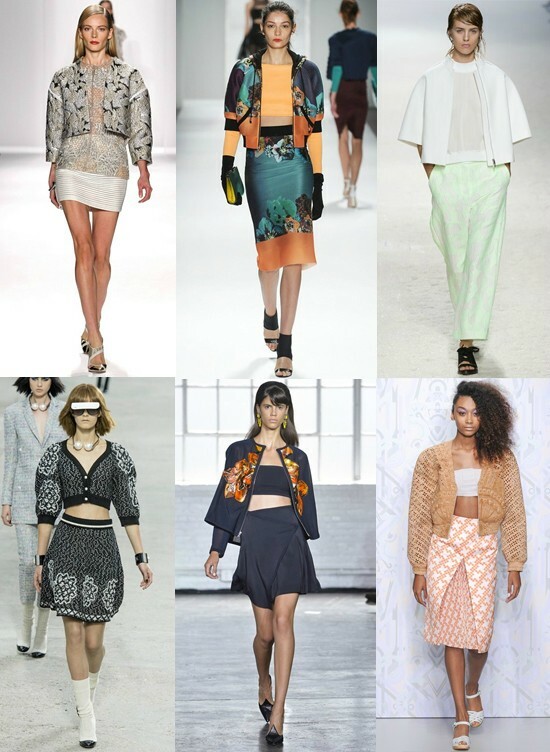 And will you be rocking any of the trends I'm loving for SS14?